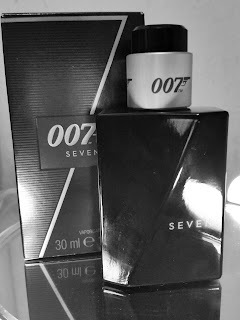 Home / Scents / New James Bond 007 SEVEN Eau De Toilette For Men - BOND OR A VILLAIN? New James Bond 007 SEVEN Eau De Toilette For Men - BOND OR A VILLAIN? 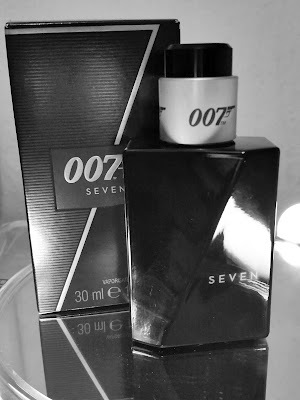 I received the 007 SEVEN EAU DE TOILETTE and was quite excited. I have wondered what this scent would be like having seen advertising in magazines. SEVEN EAU DE toilette with its carefully selected ingredients of oriental and a masculine but yet elegant style of bottle. Sweet Mandarin, Bergamot and Fresh Apple. Saffron, Cinnamon, Nutmeg and White Pepper. Gentle Amber, Vanilla and Musk. The packaging is black and emblazoned with the 007 theme taking and carrying this on from the films. The bottle is quite sleek with its angled cut glass shape on the front and back forming a 7 number from its name which is present on the bottle. A silver bottle ring sits around the neck of the bottle comfortably with 007 present on it and one twist to the right reveals the head sprayer. To close you twist the other way which is a good thing as you cant lose the lid as there isn't one! On first spray this gives out good projection which covers a good area. You instantly smell a fresh citrus scent on opening but with some added sweetness so this doesn't smell sour. After 2 minutes this starts to transform on dry down to a warm spicy scent that would give you that warm feeling you need on cold day. Finally the scent ends its journey to a woody spicy scent with hints of masculinity. This drys down pretty close to the skin so projection isn't loud and big ( someone wont smell it far away) unlike the opening which is quite loud! 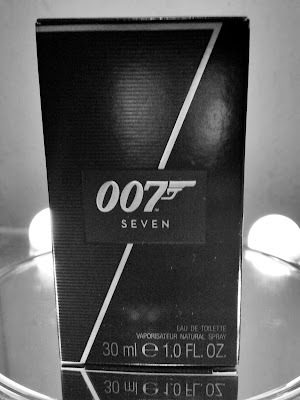 I was really surprised with this scent, i thought this would be just an average scent that you would get because its associated with a "brand". In fact this is quite an unique scent which is perfect for getting for yourself if your just getting into scents or for your partner.